Visol, never afraid to break the mold and create something a little different than the norm. 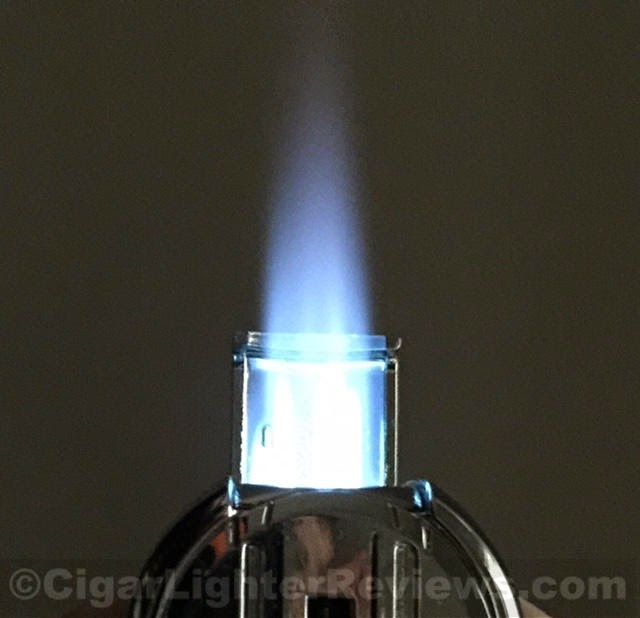 That brings me to today's review of the Vison Dobrev III Carbon Fiber Lighter. This carbon fiber beauty is no joke, weighing in at just over 5 ounces! When I first opened the gift box, I was pleasantly surprised to find a leather case for the lighter. Pulling it out of the box, I immediately said "dang, this is one serious lighter" due to the weight. If you read CLR enough, then you know I generally feel that weight is a good tell of quality. 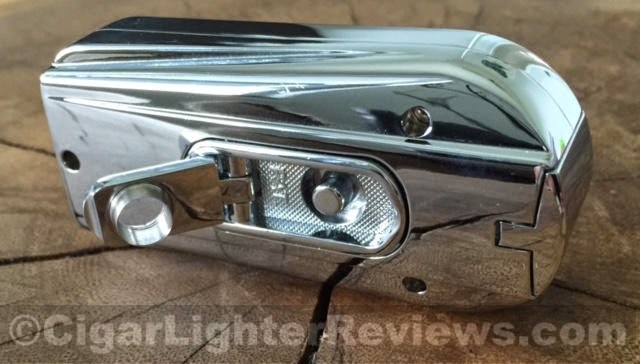 Mainly constructed of high polish finishes, made this easily one of the hardest lighters for me to photograph. Dobrev is a fingerprint loving machine.... Carbon fiber has been all the craze the last few years in many aspects of consumer goods. It does add nicely to the aesthetic appeal of the lighter, nothing more. The Dobrev III is two steps to ignition, flip lid and depress the side pusher. This triple torch flame is strong and quick to fire up. The Visol Dobrev backside has an integrated cigar punch. Typically, I love having an integrated cutter. That said, on this lighter it's in a bit of an awkward position. At the end of the day, better to have, than not I suppose. 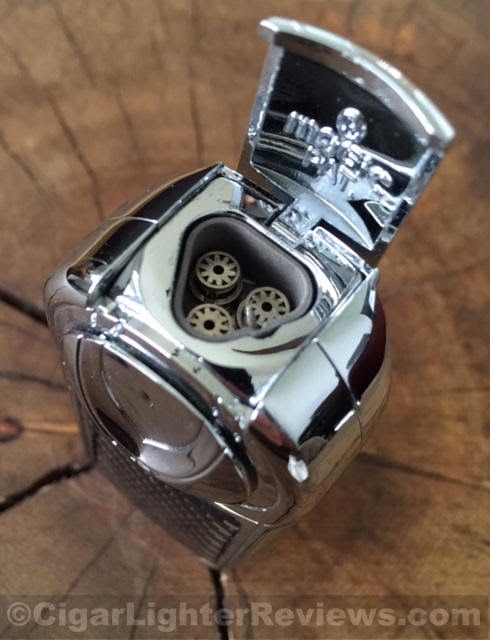 The bottom of the lighter has little "lever" that flips up easily with a fingernail. This is then used to adjust the flame height and refuel. Nice little touch, much better than having to use a screwdriver. Lastly, lacking from the Dobrev III is a fuel guage window. Conveneint to have when you are burning triple torches and the amount of fuel being consumed quickly. 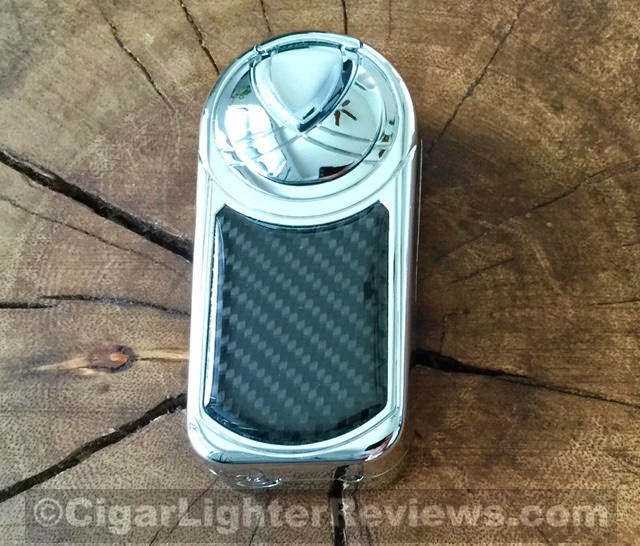 The Visol Dobrev III Carbon Fiber lighter retails for $55. Not too badly priced when considering the whole package. If you are not buying this in person, please remember you heard it first here, Dobrev III is a heavy beast!